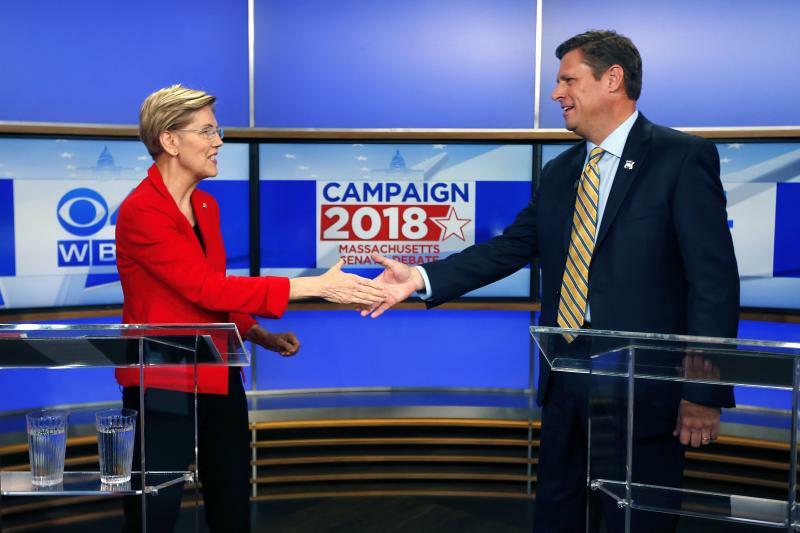 BOSTON (AP) — Democratic U.S. Sen. Elizabeth Warren and her Republican challenger, Massachusetts state Rep. Geoff Diehl, clashed on everything from tax cuts to immigration to Warren's decision to release a DNA test during their first debate Friday. "Eighty percent of Massachusetts residents are getting a tax cut, lower taxes federally, because of that tax reform," Diehl said. "That's why we're seeing, now, businesses reinvesting." "This is the basic Republican scam and that is cut taxes for those at the top and make everyone else pay for it," she said. "This economy is working better and better and better for a thinner and thinner and thinner slice at the top." Warren released the tests in part to counter President Donald Trump, who has repeatedly criticized Warren's claims of Native American heritage, calling her "Pocahontas." "The whole notion of confidence in government has really gone to a low point and so for me, what I've done is I've just tried to put it all out there," she said. "I am an open book." Warren said she's not claiming to be a citizen of any tribal nation. 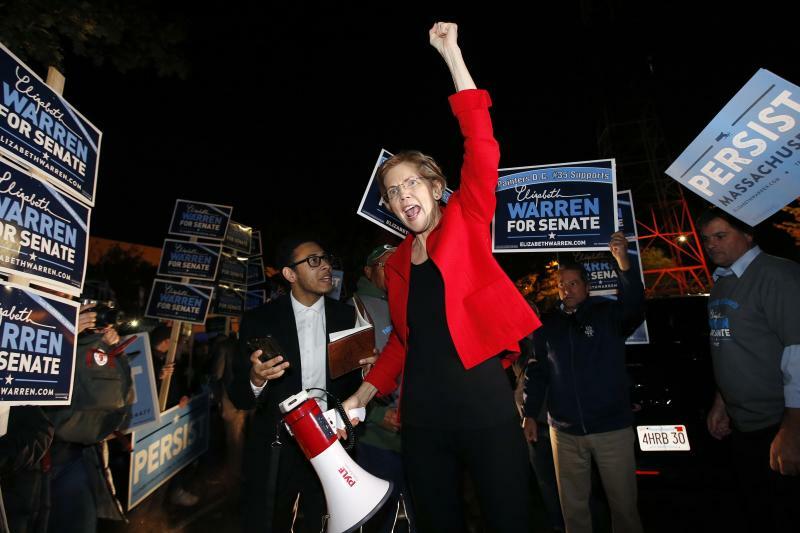 Diehl, who co-chaired President Donald Trump's 2016 Massachusetts presidential campaign, said he didn't care about Warren's heritage, but suggested Warren may have benefited from listing her Native American heritage in a national directory. "It seems that maybe that was inappropriate to list yourself," Diehl said, suggesting Warren may have ended up "taking a minority hire position away from somebody else." Warren said that "nothing in my background ever made any difference in my hiring." She criticized Diehl for not releasing his tax returns. "Let's talk about — if we're going to talk about character — what it means to have Donald Trump's back," she said. "It means standing by Donald Trump when he calls white supremacists in Charlottesville 'fine people.'" Diehl didn't back down from his support of Trump, but said he wouldn't vote in lockstep with Trump or Senate Republicans. "I am not a Mitch McConnell Republican, I'm a Massachusetts Republican," he said, referring to the GOP Senate majority leader. Diehl said Warren has taken her eye off her day job representing Massachusetts by exploring a White House run. 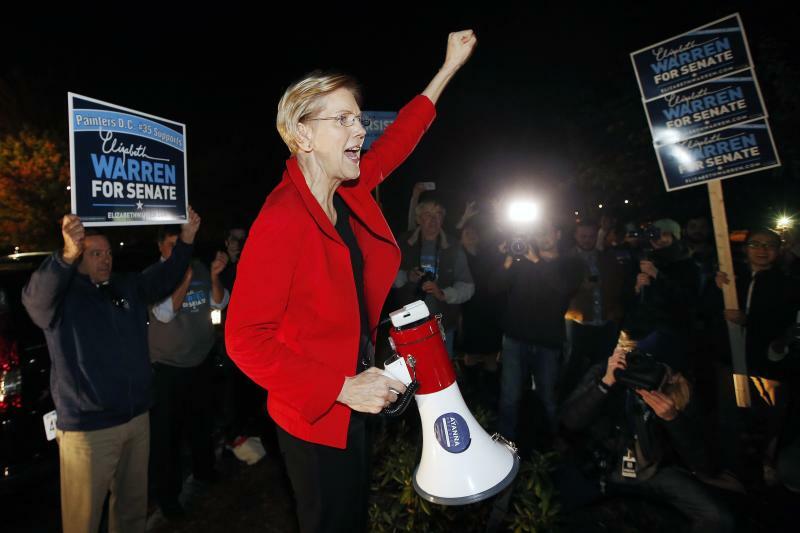 Warren has said she'll take "a hard look" at a 2020 run after the midterm elections. "You are running for president. Everybody knows," Diehl said. "It's not a secret at all." The two were also asked about Saudi journalist Jamal Khashoggi, who Saudi officials claimed was killed in a "fistfight" in the Saudi Consulate in Istanbul. Turkish officials have said an "assassination squad" from the kingdom flew in and laid in wait for Khashoggi. Warren said Khashoggi's fate "was an attack on democracy all around the world." "The response should come not just from the United States but should come all around the world, otherwise we empower dictators to kill journalists who ask hard questions," Warren said. "Do we need a strong response on Saudi Arabia? Absolutely. And Donald Trump is showing he is not capable." "We need to continue to have a relationship," he said, pointing to companies in Massachusetts that do business in the kingdom. He also credited Saudi Arabia with helping keep terrorism in check "in their own backyard."